In El Paso, we are so immersed in Mexican culture that we sometimes forget not everyone enjoys such a thorough education and knowledge of Mexican cuisine. At Productos Real, we provide quality Mexican meat to create the most delicious Mexican dishes, but we also acknowledge that some of the meat cuts and types we use are not exactly run of the mill. In order to understand how to make truly great Mexican food, you need to be able to identify and know all about the ingredients you are using. 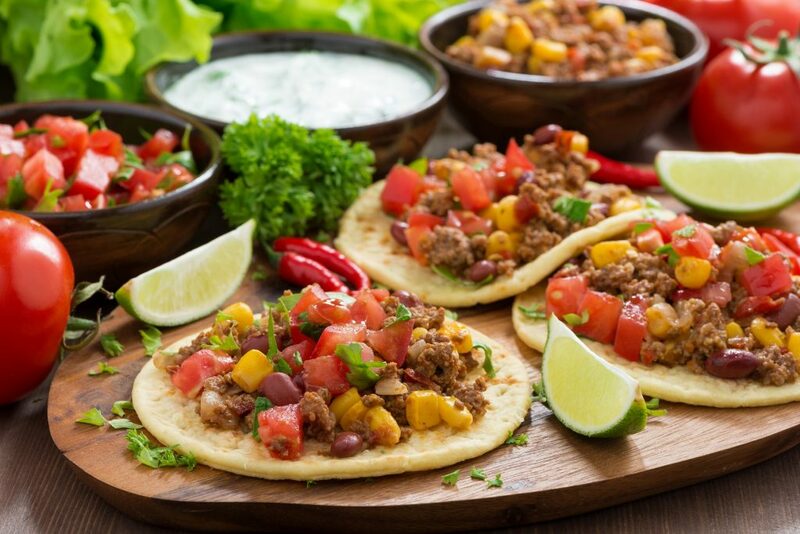 So, for those of you who want to create quality Mexican dishes but know nothing about what to use, we have created a little introduction to Mexican meat and the common dishes they are used for. Tripe is a specialty meat that is made from a cow’s intestines. The most popular and well known dish to use this specialty Mexican meat is menudo. Menudo is a type of stew that includes tripe, hominy, and different spices. Tripe is also a popular choice for tacos- known as tacos de tripa or tripitas. The meat is cooked in lard, seasoned, and sometimes mixed with hot dogs to create a unique and delicious taco that has many fans. While the idea of tripe may be hard to stomach for some (get it? ), the resulting dishes are delicious and staples of any Mexican menu. Chorizo Burgers – these are not literal burger patties made out of chorizo. Chorizo burgers are typically burgers that have a chorizo addition for spice and flavor. They are very popular with fusion restaurants and Mexican restaurants who want to add a little bit of American choices into their menus. Chorizo Quesadillas – quesadillas are one of the most popular Mexican dishes out there. Simple to make, all you need is good cheese and either corn or flour tortillas. Chorizo is a popular addition to add spice and variety to this staple menu item. Al pastor Mexican meat is pork meat that has been seasoned and spit roasted. The most popular dish that this meat is used in is tacos Al Pastor. This includes using avocado, onions, cilantro, and other delicious veggies to complement the spices in the meat. Al pastor meat can also be added to quesadillas, casseroles, and flautas to change it up. At Productos Real, we are committed to providing quality Mexican meat that will create authentic and savory Mexican dishes. Add some spice to your menu or next party- contact us today!